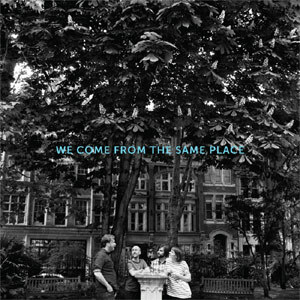 This (mostly) London-based four piece make music far sunnier than it seems possible for the famously variable British weather to permit. 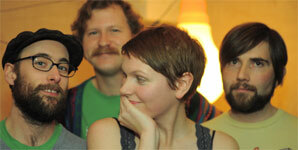 Indie pop, twee pop or whatever you want to label them, Allo Darlin' make lovely, listenable music which draws you inextricably to smiling and foot tapping. 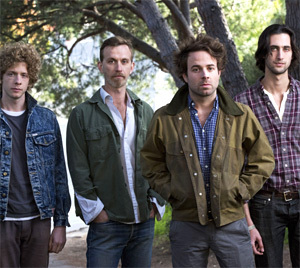 Continuing their seemingly traditional biennial album release plan ('Allo Darlin'' in 2010 and 'Europe' in 2012), Allo Darlin''s third offering appears almost exactly four years after their self-titled debut. The usual instrumental and vocal trademarks are unmissable and unmistakable, and in characteristic style it readily embraces downbeat topics in a staunchly upbeat manner. Penned in quite a whirlwind of productivity, lead singer Elizabeth Morris notes that many of the songs were created during a time where songwriting came particularly naturally. This rapid pace certainly does not come across musically, though there is a sense of ease and flow between the tracks that may be belied by this unfamiliar approach. The main criticisms one can have of the indie scene (think Indietracks, not New Cross) are a lack of variety and a near absence of discretion. Though many who frequent haunts adorned with cardigans and floral skirts will mutter about preferring something a little different, there is a prominent scene built around what is often acceptance of the average for merely social reasons. 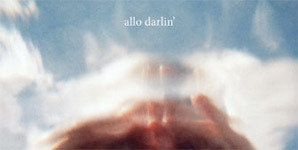 Allo Darlin are one of the few bands that, due to such a universally positive appreciation for anything fitting under the umbrella of twee, have gained enough attention to tour the country to capacity venues larger than sheds, and whilst this can be accredited to the strength of the London quartet's material, there still exists an issue of repetition, both on record and live. 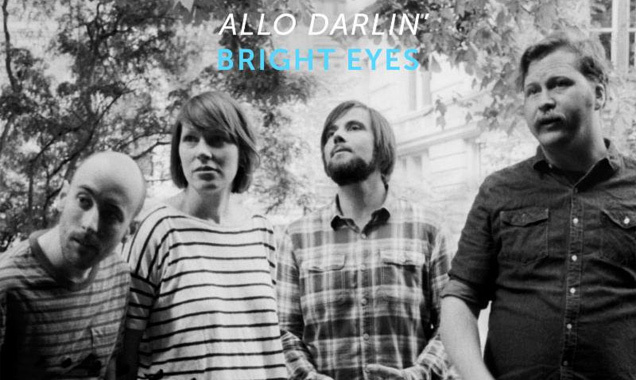 Allo Darlin' make the kind of content folky surf pop that's accessible to many and this release is no exception. From strummed ukulele and exposed, delicate female vocals, 'My Heart Is A Drummer' builds in the vein of a Belle and Sebastian or even Beautiful South track into a pushy, if slightly twee, pop number with a dominant moving bass line throughout, driving the track forwards. The B-side, an acoustic version of 'If Loneliness Was Art', a track released previously as a single back in August, is a beautiful, down-tempo, entrancing love song, again showcasing Aussie girl Elizabeth Morris' smooth and sensitive Laura Marling-like voice over delicate strummed uke. Peaceful, soothing music ideal for a summer's day; 'If Loneliness Was Art' lilts into a happy 'sha la la' chorus with vocals from all four of the bands' number.